With the long-awaited release of Adele's recent single, a new form of binge-watching has occurred — putting the music video for "Hello" on approximately 100 times in a row, or until another single is released from her forthcoming album — whichever happens first. There's been much dissemination of the lyrics of "Hello," and discussion about what might have inspired her latest work. As an artist, Adele's always been vocal about her inspirations, even if it's been her ex-boyfriends and failed relationships. Nothing is sacred or secret — there's no ploughing through CD sleeves looking for secret clues about "Thanksgiving Maple lattes," which is sort of refreshing. 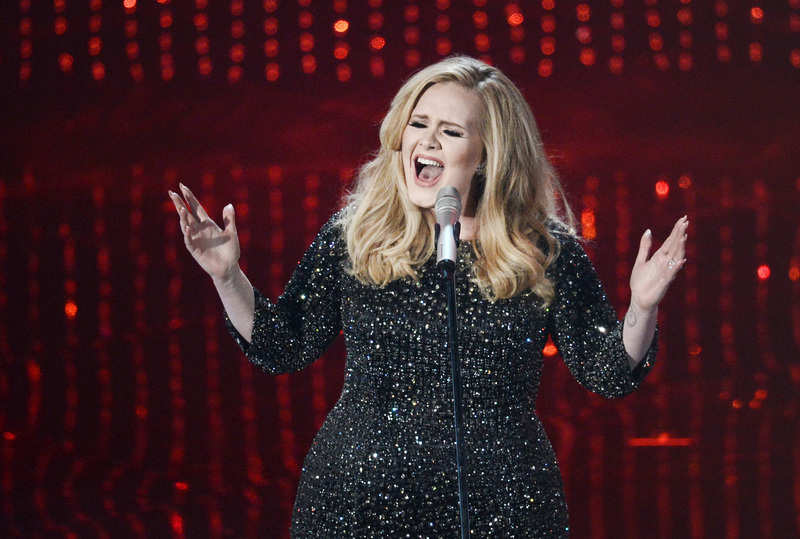 Adele's newest album will be called 25 , following after 19 and 21. Marking her work out chronologically in this, and being so open about her influences, means that Adele's giving us an access to her work often unheard of. Celebrities strive for a clear separation between their work and home life, but Adele's openness about emotions is a major part of her appeal. We can relate to her because she's talking about a crap-ness we've all experienced at some point. And this is why reading Adele quotes, both from her music and interviews she's given, can be so encouraging and therapeutic. Here are some of the best. Adele gives astute advice in this video interview with Vogue, in February 2012. It's really about self-belief, having faith that only you can make the choices that define your life, and, even if things don't go the way you plan, you did the best that you could at the time. A quote from "Hometown Glory" on Adele's first album, 19, shows how important it is to appreciate the people around you. Friends, family, loved ones, and locals, all influence the worlds that we live in. In an interview with Fair Lady Magazine (September 2011), Adele spoke about her inspirations for her hit "Someone Like You." Sometimes, we fall in love with someone but, for whatever reason, it doesn't last forever. This is a heartbreaking feeling, but hearing someone as fierce and famous as Adele say that she's been through the same thing makes it feel a little bit less awful. Backstage at the 70th Golden Globe Awards, after winning an award for her song "Skyfall," Adele was asked if she'd ever consider being a Bond girl. And she said no! Aspirational feminism right there. Not everyone dreams of being a Bond girl. Total props to Adele for saying no to the mere idea. These lyrics are taken from "Don't You Remember," a song on Adele's multi-award-winning album 21. When a relationship ends, it's all too easy to ask yourself questions on repeat like, "Do they miss me as much as I miss them?" or, "Have they Eternal Sunshined me yet?" And it's OK, too, to not know the answers. Everyone makes mistakes, and sometimes in life you've got to be the person to apologise first. It's important to say sorry, and make reparations for mistakes of the past, which is maybe what the song "Hello" is about. It's exciting to think that Adele will continue to write about her life, and be so open and honest about the events that have shaped her music. Anyway, time to put Hello on just one more time.